NoteCard 3 is our software for learning to read the musical notes quickly and easily. See also: NoteCard 2. This is a minor update to NoteCard 3.2. It corrects a bug in the depicted string widths on the fretboard input instruments. This is a minor update to NoteCard 3.2. 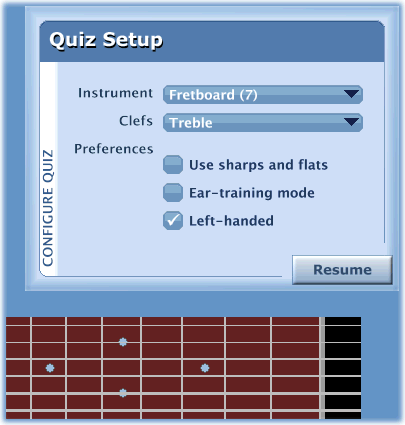 It corrects a bug in the display of the fretboard input instruments that prevented the fret marker dots from appearing.